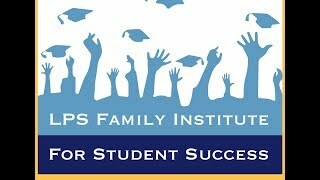 Congratulations to the parents who are the first to graduate the LPS Family Institute for Student Success. LFISS is a nine week program that teaches parents how to be more involved in their child's education to create a college-going culture. Working together, we can all succeed! Wetherbee Read Across America Day! On Friday, March 1, students at the Wetherbee School celebrated Read Across America Day in honor of Dr. Seuss' birthday on March 2nd! To kick off National Reading Month, Ms. Rastello's first graders celebrated Dr. Seuss style, the second graders in Room 106 had a "mystery reader" (Mr. Ray Rosado) read the book Oh, The Places You'll Go! to the class, and all the way up in the sixth grade students did an online "BREAKOUT" dedicated to the life and works of Dr. Seuss. Happy Birthday, Dr. Seuss! Superintendent Paris would like to recognie the spirit of community service at the Wetherbee School. Three of these students coordinated a "Spa Day" for young girls in foster care. Others helped collect and distribute personal care supplies for the homeless. Thanks to these students for being great role models for the LPS. Art students were "hands on" with this project, creating crowns and t-shirts for the 100th day of school. New Balance Gives Back - to the Wetherbee! The lucky students in Ms. Briody's third grade class were recently the recipients of the annual New Balance Gives Back school campaign, so every student received a new pair of sneakers! Congratulations third graders! Wetherbee Fourth Graders are In Good Company! The Wetherbee School is proud to graduate parents from the Lawrence Family Institute for Student Success. LFISS is a program that teaches parents how to be more involved in their child's education.